How Do I Test My Water for Hardness? Hard water can cause a host of problems in your household, including stains and residue left behind in sinks, soap scum build up in tubs, and cloudy water stains left on dishes. In fact, hard water can even reduce the life of water-using appliances, because pumps and pipes can become clogged and stop working over time. 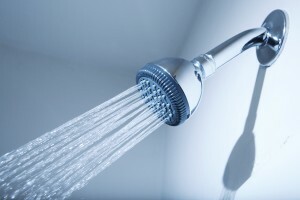 Additionally, hard water can cause issues for the residents of the home, as it leaves behind residue on the skin after bathing and reduces the lathering ability of shampoos, leaving hair looking dull and lifeless. The cause of all these hard water problems is the presence of calcium and magnesium. If you are experiencing the issues listed above, then it is possible you have hard water, and need to treat the calcium and magnesium in your water. It is best to arrange having an in-home water test performed by a professional, because they will be able to not only determine whether you do in fact have hard water, but also which type of water softening system is best for your home. RainSoft offers multiple water softening products that can treat hard water. Because the systems treat the water as it enters the home, you can enjoy an unlimited supply of softened water that rinses cleanly off of dishes, prevents crusty build up in pipes and appliances, and leaves your skin feeling softer and hair fuller after a shower. To have your water tested for hardness, schedule a complimentary in-home water test with RainSoft today.